The building, a palazzo constructed during the second half of the 19th century, and the interior of our B&B have been restructured according to an individual taste, without however disavowing the original characteristics of the era of construction. Each room offers a harmonic, elegant and pleasant ambience, combining minimalism and comfort. Adjacent to each bedroom, each of which is fitted with TV, DVD player, and air conditioning, one will find a private bathroom. The rooms are cleaned every day and the linen will be changed regularly. The choice of breakfast, at last, is in accordance with the tradition of our beloved land. 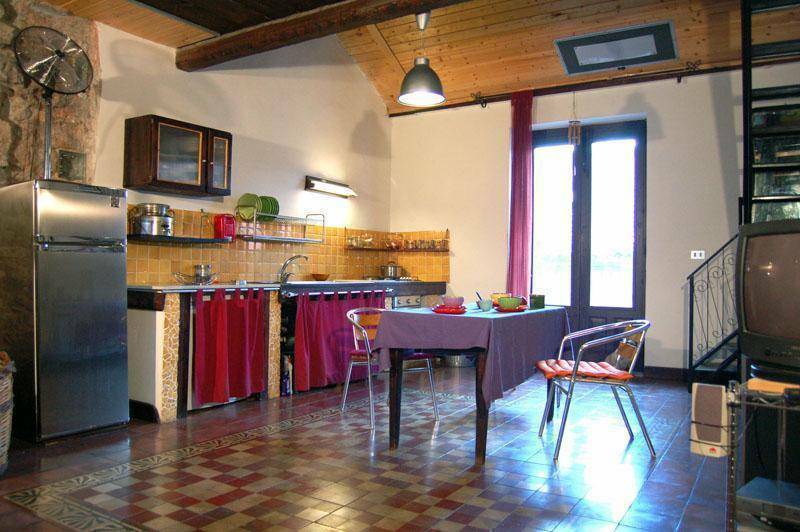 B&B SolSicily is situated within the historic centre of Catania. This central location is the strong point of our B&B: ideal for these who want to enjoy seaside holidays without missing out on city life, as well as for those who want to move around the city effortlessly. Furthermore one can partake in the exhilarating nightlife of this passionate and multicultural city with its young population, and, in a multitude of pubs and restaurants, sample the typical dishes and traditional sweets of ancient Sicily. &B SolSicily is well connected to the public transport system. It takes but a short bus journey from the airport to the central train and coach station, which is distanced are mere 430 yards (400 meter) from our B&B. Moreover, there are plenty of differently priced parking opportunities in the streets surrounding the B&B. Within the distance of less than a mile, one will find the black beach San Giovanni Li Cuti with its characteristic lava sand, and a bit further away than just one mile, one will come to the Playa of Catania. From its white sandy beach, one can enjoy an impressive view of the volcano Etna. To reach the huge market Fiera o Luni, or the most typical market of Catania, the fish market La Pescheria, it takes a walk of only a few 100 yards. Our staff will always be pleased to be at your service, be it recommending a day trip outside the city, choosing the most important cultural events to witness, or simply suggesting convenient ways of travelling around. We offer you all our hospitality and make the best effort to render your stay in Catania an affordable and memorable experience. Palazzo delle Scienze, housing the museums of mineralogy, geology, and volcanology, and the museum of paleontology, featuring fossils from the era of the Palaeozoic to the Quaternary. By bus: At the airport Fontanarossa take service no. 457. Get off at Piazza della Repubblica, cross the street, and walk down towards Via Giovanni di Prima. By train: B&B SolSicily is located a mere 430 yards from the main station Catania Centrale. Each room offers a harmonic, elegant and pleasant ambience, combining minimalism and comfort. Adjacent to each bedroom, each of which is fitted with TV, DVD player, and air conditioning, one will find a private bathroom. The rooms are cleaned every day and the linen will be changed regularly. The choice of breakfast, at last, is in accordance with the tradition of our beloved land. 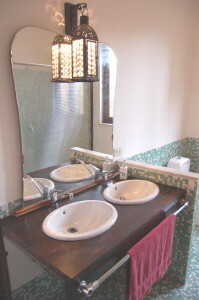 B&B SolSicily is situated within the historic centre of Catania. Within the distance of less than a mile, one will find the black beach San Giovanni Li Cuti with its characteristic lava sand, and a bit further away than just one mile, one will come to the Playa of Catania. From its white sandy beach, one can enjoy an impressive view of the volcano Etna.